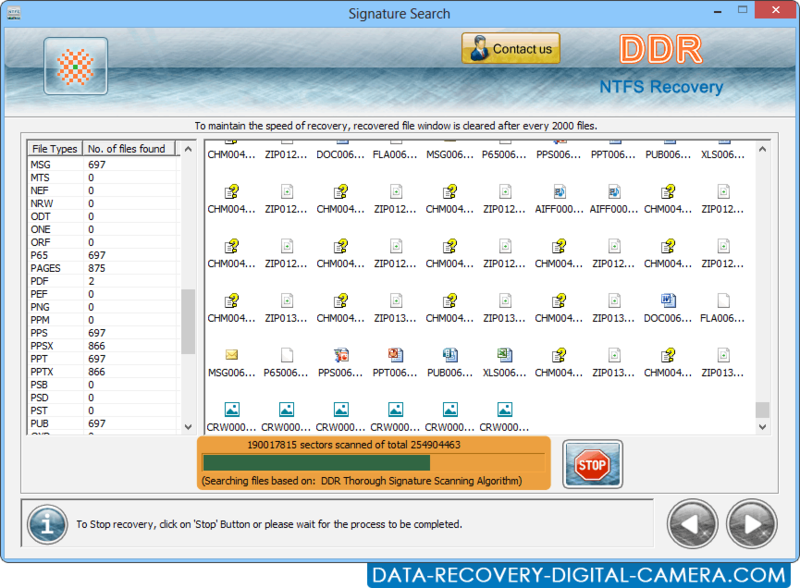 Choose extension (i.e 3GP, 7Z, AI, AVI, BMP etc) that you want to recover and browse path to save all recovered data. 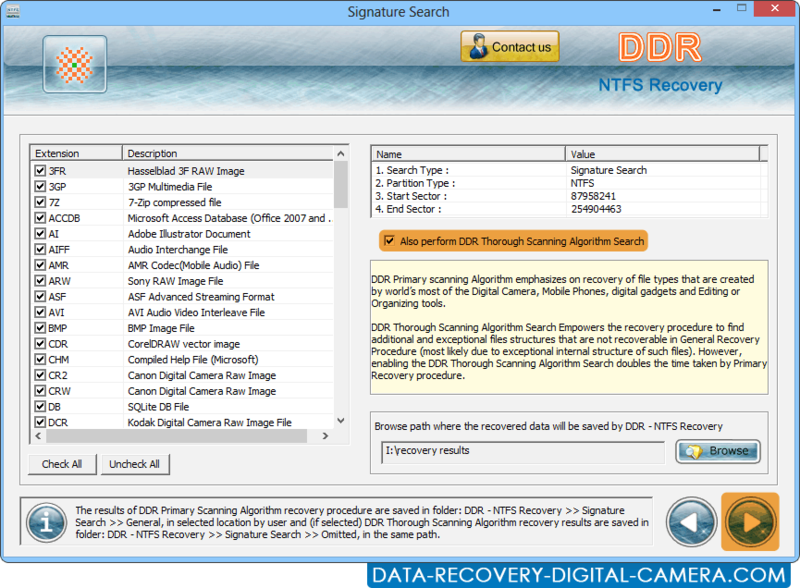 View running status of disk search process based on DDR Thorough signature recovery process. 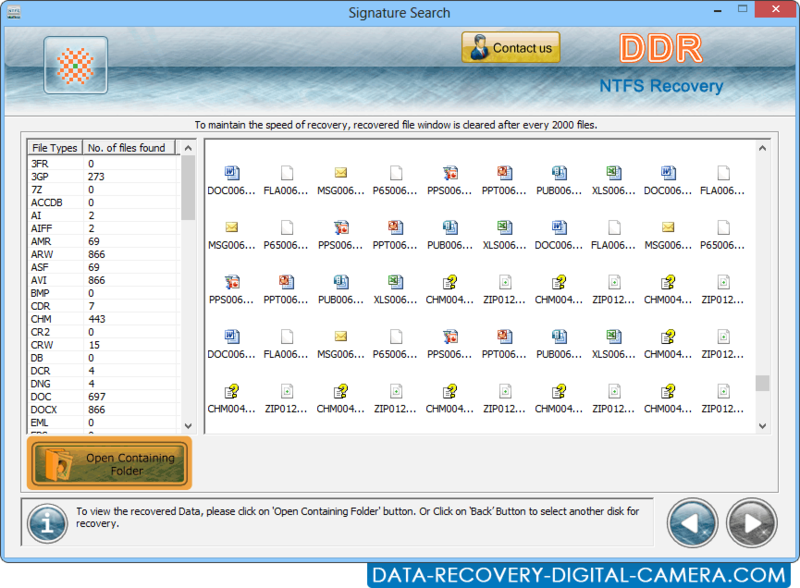 To view recovered files click on ‘open containing folders’.